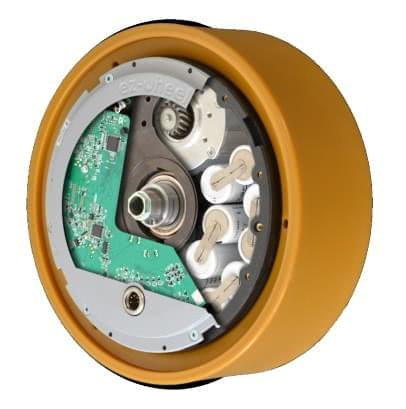 ez-Wheel proposes the first industrial electric wheel featuring embedded motor and batteries. This revolutionary solution can quickly and easily power any rolling material dedicated to load handling or people transportation. 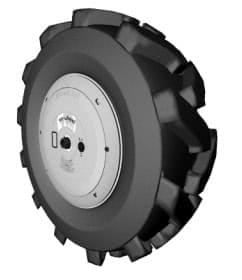 ez-Wheel self-propelled electric wheels are ideal for handling equipment and moving heavy loads. The motor control system built into the wheel controls braking as well as traction. This function can, for example, limit equipment speed when handling heavy loads on a slope, making it safer for users. The wheel can operate over a wide temperature range and its waterproof assembly ensures optimum performance in cold chain logistics. 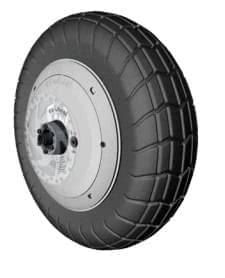 ez-Wheel electric wheels are an effective way of providing electrically powered assistance for mobile medical equipment. Fitting an ez-Wheel on hospital equipment provides electric traction which can move hundreds of kilograms, without any operating noise. The help in moving and handling makes equipment comfortable for health care workers to use and protects them from injury when performing repetitive movements. It can be used for a whole day with no need for recharging thanks to the autonomy of the built-in battery. 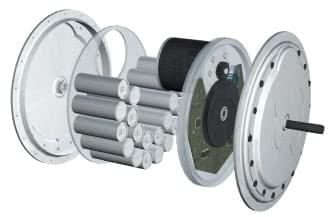 The wheel can be recharged from time to time, whenever the quipment is connected to the mains. The series 300 can be fitted immediately on any vehicle chassis or mobile equipment. 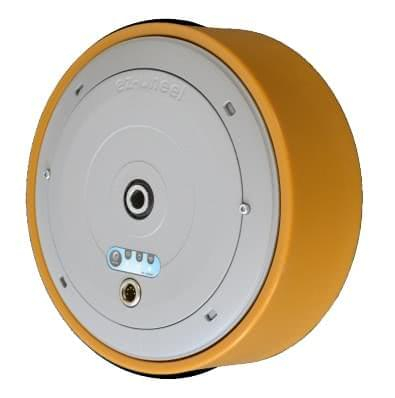 No electrical connection is needed, since the wheel is self-powered by the biult-in battery and driven by wireless conncetion. The electric motor provides exceptional clearance capability and equipment fitted with the motor can carry loads of several hundred kilograms. The series 160 integrate motor and batteries in a extremely compact format. The wheel is designed with reduced height to fit any low chassis. The robust hub fairing protects all components from knocks and splashing. The series 160 are available with wire connections or with external batteries to allow junctions to other electrical peripherals. 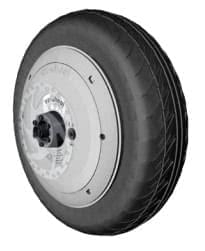 Further information can be found here at the EZ-Wheel website.